The Great Depression resulted in economic and social dislocation world wide, and to the rise of fascism in Italy, Japan, Spain and Germany. In the United States our democracy survived, but it underwent extensive changes as a market economy naturally creates winners and losers. The New Deal programs provided government relief in a time of crisis. 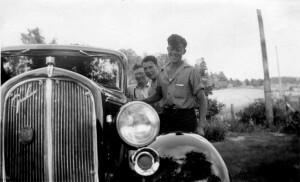 Approximately 25% of the American workforce was unemployed during this period, however that means the remaining 75% were employed or underemployed but still able to make purchases of automobiles as our photographic research confirms. Even during this period of great deflation a buying opportunity was created for those with money. 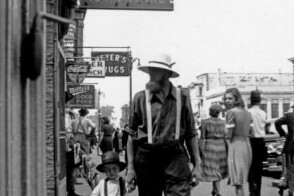 While we sympathize with rural populations in photographs taken by the Farm Security Administration photographers such as Dorothea Lange, Walker Evans, Russell Lee, Arthur Rothstein and others we find that there were other Americans who were spared the brunt of the dislocations. This should not be all that surprising. In today’s economy unemployment is higher in some states than in others and housing prices can vary greatly from one state to another. Those people who choose to live near the Mississippi River are aware that when the river floods they may lose their homes. During Hurricanes Katrina and Sandy those families living in the path of the storms suffered and continue to suffer greatly. We need to remember that it is the free market and only the free market system which creates incentive. Without incentive creativity is stifled, an economy becomes stagnant and the standard of living drops. Our collection of images from the 1930’s shows many examples of this uneven effect of a market economy. 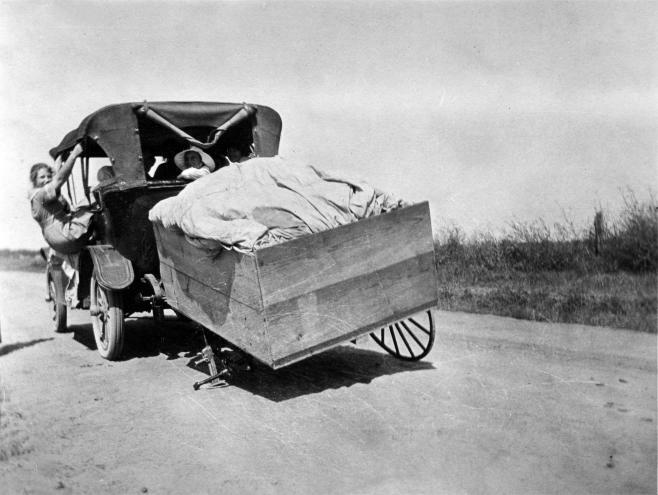 The House Wagon was common in areas of the Texas panhandle. The Graham and the 5 Window Coupe display their proud owners with their new cars during the height of the Depression. Scenes of bread lines, apple sellers, train hoppers and people living in Hoovervilles and generally making do without permanent housing were common. As we view these images today we acquire meanings beyond those evident at the time. Hindsight turns what was everyday event into a learning experience for us with the passage of time. 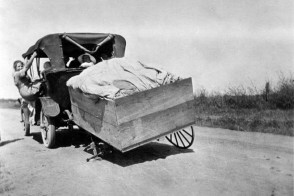 Our images of Hoboes, Dust Bowl: The Black Northern and the Rag Man serve to elaborate on this concept. The Graham: Garland, Texas – September 15, 1934: Ya gotta luv it! 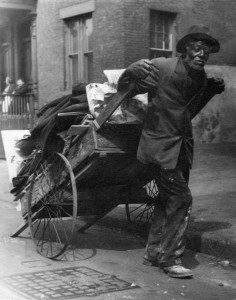 The Rag Man: Hartford, Connecticut – March 4, 1936: A common sight of the period. Date is approximate; true date unknown.